Live Music at the Mast Store! 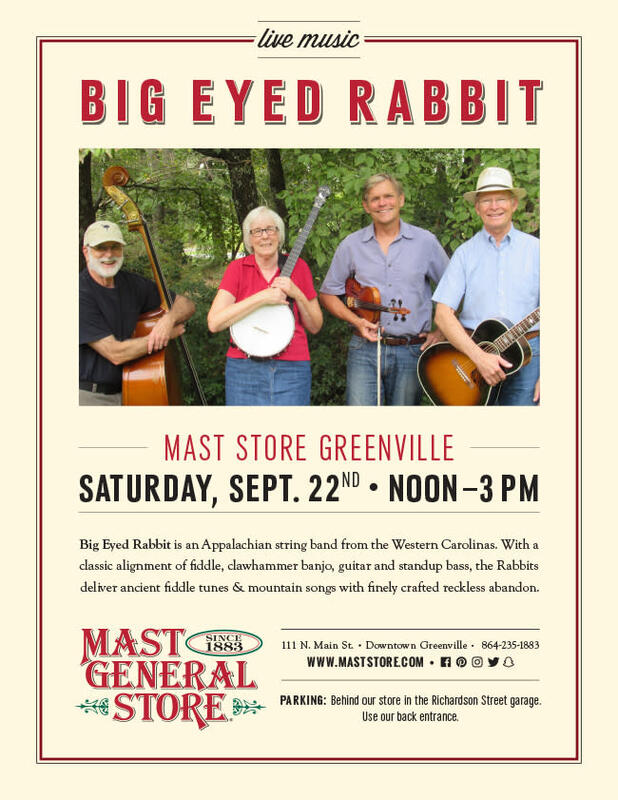 Big Eyed Rabbit is a hard driving Appalachian string band out of the Western Carolinas. With a classic alignment of fiddle, clawhammer banjo, guitar and standup bass, the Rabbits deliver ancient fiddle tunes and mountain songs with finely crafted reckless abandon.